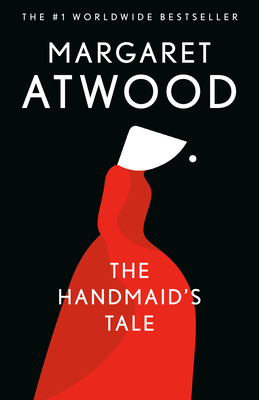 Did y'all read the The Handmaid's Tale by Margaret Atwood? Did anyone watch the tv series? What did you think so far?! If you're wondering whether or not to watch it, here's a review from the New York Times, by James Poniewozik. "A decade ago, Elisabeth Moss began co-starring in “Mad Men,” which among other things was about how women were objectified and subjugated — in the past, the 1960s, the bad old days. 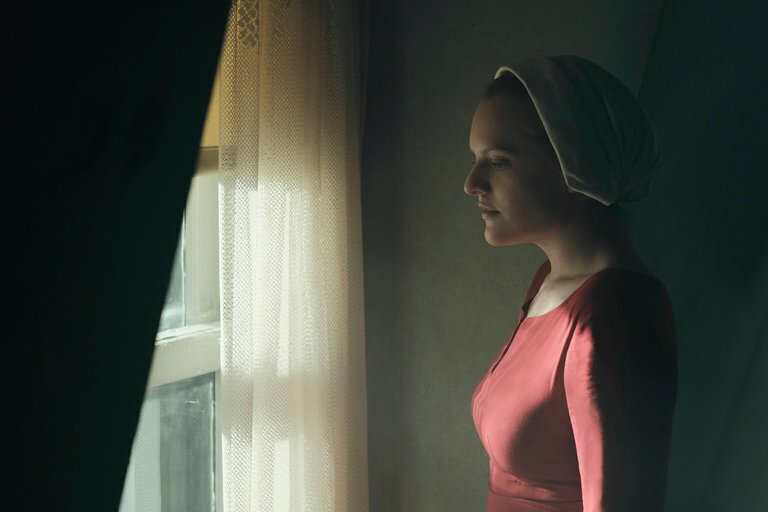 In Hulu’s spectacular “The Handmaid’s Tale,” Ms. Moss is Offred, a baby-making slave in the Republic of Gilead, which is what part of the United States (New England, roughly) has become after a fertility crisis and a theocratic coup. It’s set in a near future that looks like the 1600s. “Mad Men” may have resonated with today, but it gave viewers the comfortable vantage of history, the reassurance that we had come a long way, baby. “The Handmaid’s Tale” argues — with an assist from current events — that progress is neither automatic nor irreversible. “The Handmaid’s Tale,” based on the 1985 Margaret Atwood novel, is a cautionary tale, a story of resistance and a work of impeccable world-building. It is unflinching, vital and scary as hell. Her days are spent running errands in a commissary where the goods are labeled with pictures (because women should not read), or sitting quietly in a bedroom with shatterproof windows (so she can’t slash her wrists with a shard of glass). On “ceremony” nights, she mechanically copulates with the Commander while lying in the lap of his infertile wife, Serena Joy (Yvonne Strahovski). This is a dark story. That it’s not oppressive is a testament to the deft adaptation and, especially, Ms. Moss’s layered performance. In the first three episodes — which debut on Wednesday, with new ones weekly thereafter — the showrunner, Bruce Miller, is faithful to the novel while expanding on it. (Hulu plans this as a continuing series, so it will presumably stray further eventually. Ms. Atwood is a consulting producer.)" "Besides being a brilliant writer, Flannery O’Connor wrote quite a bit about the craft of writing. In this six-week online course, we will look at O’Connor’s essays about writing in Mystery and Manners, examine ways that she implemented her principles in her short stories, and implemented her principles in her short stories, and implement those principles ourselves in short writing exercises. My goal as instructor will not be to get you to mimic O’Connor, but to help you find your own voice—to help you write in your native tongue, just as O’Connor wrote in hers. Though O’Connor wrote more or less exclusively about fiction, most of her principles are equally applicable to non-fiction narratives. Below is a look at the introductory lecture of the course. Click here for full details. Class begins May 15." Publisher's Weekly asked their reviews editors to pick the most notable books publishing in Spring 2017. 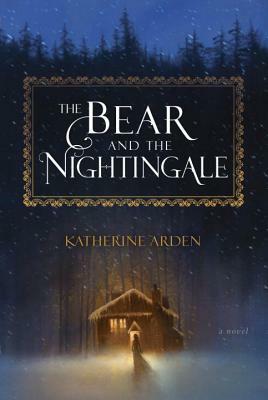 Be sure to check out their picks for most-anticipated children's and young adult books for spring 2017, as well. The list is HUGE, take a look at the rest here. 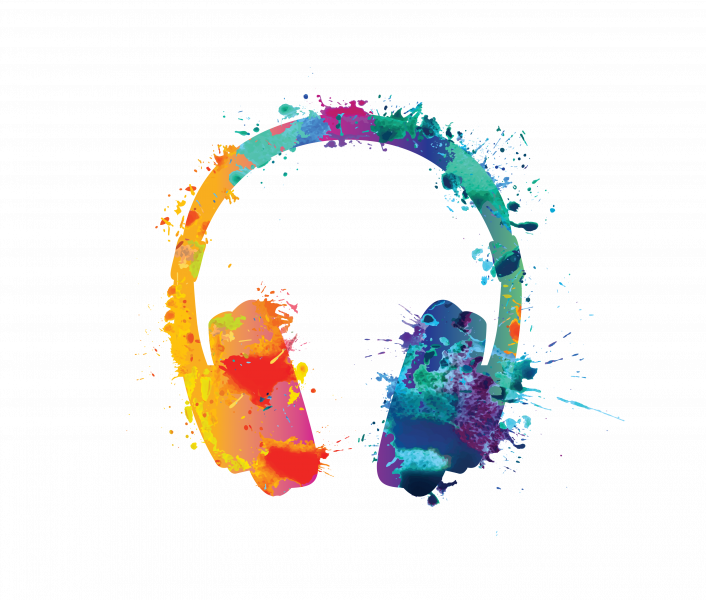 "This month is marked by writers sending dispatches from the margins and the mainstream. Whether tracing characters in a futuristic dystopia or following them into the unexplored past, whether it’s a Mediterranean murder mystery or a frank look at today’s Ivy League graduates or low-wage workers, a slice of the breadth of our world can be found in these ten selections. Thanks to his career as a newspaper columnist, Turkish author Ahmet Altan is currently imprisoned by the Erdoğan regime. But he wears a different, more entertaining hat as a novelist. 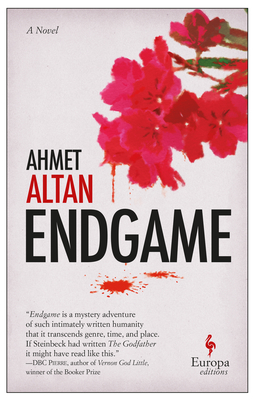 “Readers looking for a contemplative, twisty thriller will find this one unique and satisfying,” writes Kirkus of Endgame. My family is obsessed with Camilleri’s detective novels. 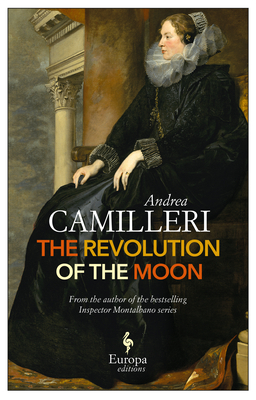 Here he resurrects a character from history: Donna Eleonora di Moura, the short-lived female viceroy of Sicily in the 17th century, “a woman whose courage and political vision is tested at every step by misogyny and reactionary conservatism.” Seems… relevant. 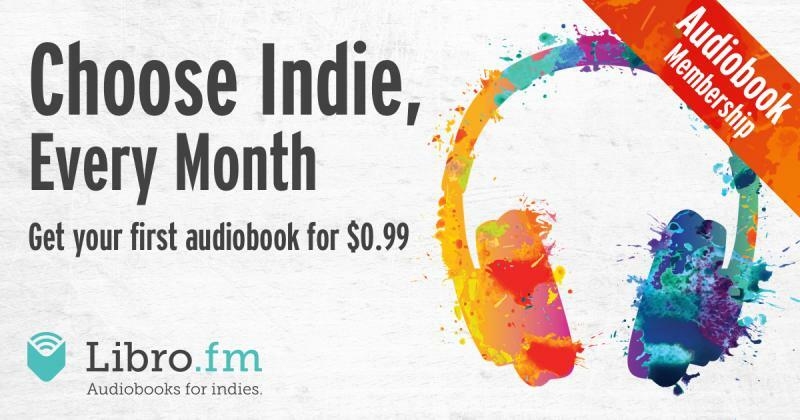 Read more about Libro Audiobooks! 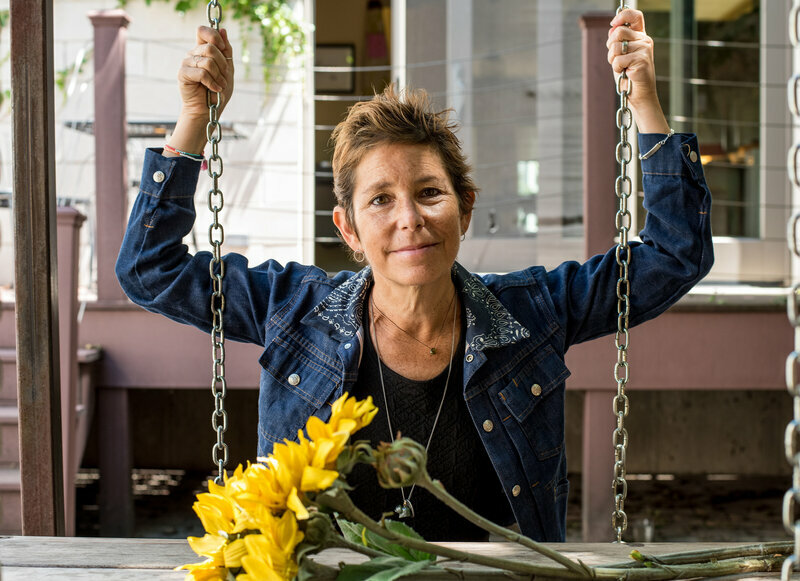 Amy Krouse Rosenthal, the best-selling author who recently announced her illness by penning a personals ad for her beloved husband, has died at 51. Rosenthal had ovarian cancer. Her longtime literary agent confirmed her death to The Associated Press. As an author, Rosenthal won hearts with her children's books and her memoirs — and broke them with her "Modern Love" column called "You May Want To Marry My Husband." It ran in the New York Times earlier this month. In the piece, Rosenthal announced her illness, celebrated her family and sought a new partner for her husband, Jason. She finished the essay — difficult to write through a haze of drugs and illness — on Valentine's Day, she said, "and the most genuine, non-vase-oriented gift I can hope for is that the right person reads this, finds Jason, and another love story begins." "She made short films and YouTube videos, gave TED talks and provided radio commentary for NPR, among others. "Rosenthal loved experimenting with different media, and blending the virtual and physical worlds. One of her favorite projects began with a YouTube video, '17 Things I Made,' featuring everything from books she had written to her three children to a peanut butter and jelly sandwich. At the end of the video, she welcomed fans to join her at Chicago's Millennium Park, on August 8, 2008, at 8:08 p.m. The goal was to make a 'cool' 18th thing. "Hundreds turned out to 'make' things — a grand entrance, a new friend, a splash, something pretty." Read the rest of the NPR article, written by Camila Domonoske, here. Is it January already? It must be, because it's time for inventory. We will are closed today (Saturday the 14th) so that we can count everything in the store. We will be open regular hours (12-6) on Sunday. 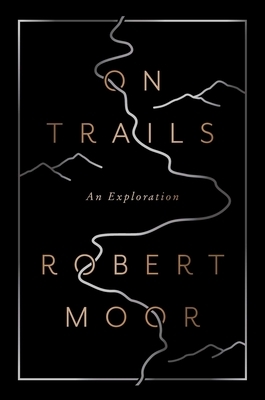 Two Reviews, by the infamous Sue D.
On Trails: An Exploration, by Robert Moor is THE book for hikers. Moore starts his study of trails with the ancient prehistoric fossil trails that have been preserved. He goes through the early history of animal trails and then human trails and how they combined. Moor is an avid hiker & he writes a lot about hiking famous trails world wide and of his own experiences with the countries & people he meets. In this cold & icy winter, On Trails is a fun, warm way to dream about getting back onto their favorite hiking trails again. I enjoyed this book a lot and can't wait to hike the Cowiche Canyon trail again soon when it warms up a little." "Before the Wind, by Puget Sound author Jim Lynch is just the book for sailing fans. Among Lynch's earlier works are: The Highest Tide, about a young boy & a giant squid, and Border Songs which is a tender novel about a border guard at a US & Canada crossing. 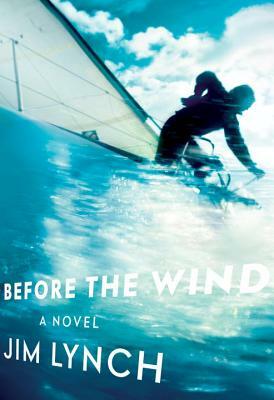 Before the Wind is about an obsessive sailing family of three generations. There are a lot of technical sailing terms and descriptions at the start of the book to help inform the reader about sailing. The three children in the family grow up and scatter to various parts of the world for different reasons, but they reunite to sail together in a huge race called Swiftsure. Readers might be reminded of the old book A River Runs through it. This family if also led by an overachiever who instead of fishing, thinks that sailing is the only life style. This is a dramatic and exciting book." Read more about Two Reviews, by the infamous Sue D.